Now that you have the right dust collection system designed and installed, you want to make sure that it's running at its optimal efficiency. For improved performance and reliability of your dust collection equipment, Sly recommends a schedule of routine inspections and the timely repair of damaged or malfunctioning equipment. That’s why creating your own baghouse maintenance program will keep your system performance high and your health risks low. Learn how with our Maintenance Checklist for a Better Baghouse. 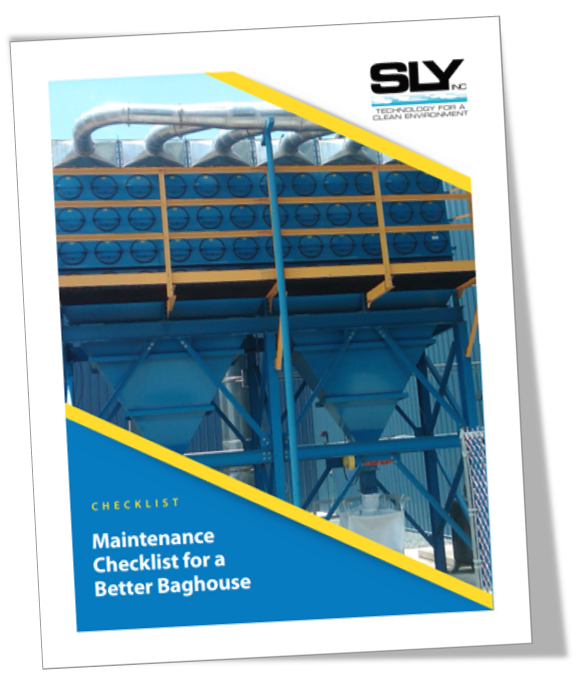 Download the Maintenance Checklist now and maintain a better baghouse.